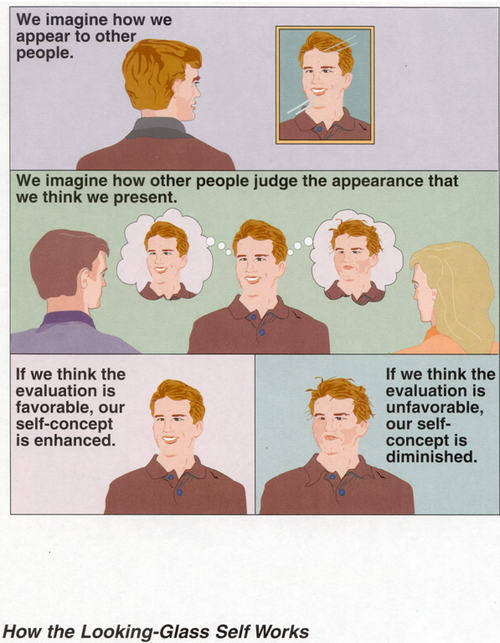 The looking-glass self is a popular theory within the sociological field that explains the formation of self-image via reflection or based on their understanding of how others perceive them. 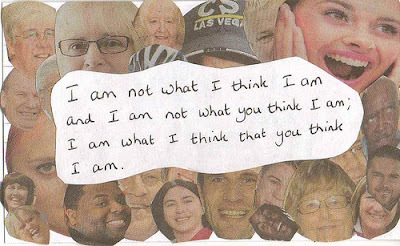 Because people conform to how they think others think them to be, it's difficult, or arguably impossible, to act differently from how a person thinks he or she is perpetually perceived. The rudiments of Cooley's sociological theory can be reduced to three facets. One imagines how they appear to others. One imagines the judgment that others may be making regarding that appearance. One develops a self-image via their reflection; that is, the judgments or critique of others. Next time you take a look at yourself in a mirror, try to understand that what you see in the mirror, is a result of the reactions to us that we have seen in people we spend time with. The thing that moves people to pride or shame is not the mere mechanical reflection of themselves, but the imagined effect of this reflection upon another's mind.